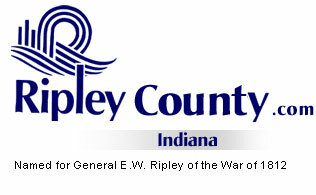 The Ripley County Council met on September 17th, 2007 at the Ripley County Annex in Versailles, Indiana. Donald Dunbar, Council President called the meeting to order promptly at 7:00PM with the pledge of allegiance to the flag. Council members Dephane Smith, Edward Armbrecht, Juanita Kaiser, Mark Busching, Ben Peetz, David Simon and Donald Dunbar were present for the council meeting. Council Member Smith made a motion to approve the minutes from the August 20th, 2007 Council Meeting seconded by Council Member Kaiser. Motion approved by Six Council Members (Dunbar, Smith, Armbrecht, Peetz, Kaiser and Busching). Council Member Simon abstained. Council Member Armbrecht made a motion to approve the additional appropriation of $15,000 Acc# 1001-28200-000-014-Inmate Dental & Medical and table the $15,000 Meals for Prisoners seconded by Council Member Busching. Motion approved unanimously. Council Member Busching made a motion to approve the additional appropriation of $1,000 Acc# 100-25300-000-015, $500 Acc# 100-32900-000-015 and $5,000 Acc# 100-37300-000-015 seconded by Council Member Kaiser. Motion approved unanimously. Council Member Smith made a motion to adopt the Ordinance Amending Ordinance N0.2000-1 By Increasing The Housing Fee For Housing Of An Inmate At The Ripley County Jail For An Intermittent Jail Sentence (Collect Housing fee from ($40) Forty to Fifty ($50) per Day/ after the second reading seconded by Council Member Kaiser. Motion approved unanimously. Attorney Comer advised the Council that a donation to the Humane Society for a charitable purpose from the Riverboat Fund is OK. President Dunbar, Edward Armbrecht, Dephane Smith, Chuck Folz will serve on the committee and go over what funds are available for the donation. Committee will report back at the next meeting. Auditor McCoy advised the council that they had a letter from Judge Morris stating that his concerns with the salary of his employees (Bailiff). Council suggested that Judge Morris come to the next meeting and explain what the problem is with salaries. Council Member Armbrecht made a motion to approve the Salary Ordinance for the year of 2008 seconded Simon. Motion approved unanimously. Council Member Smith made a motion to adopt the budget appropriations and tax rates for 2008 seconded by Council Member Armbrecht. Motion approved unanimously. Council Member Smith made a motion to adjourn until the next meeting on Monday, October 15th, 2007 @ 7:00PM seconded by Council Member Kaiser. Motion approved unanimously.